If any household product deserves a spot in the Apple Store, it’s the Nest Thermostat. Never mind the common denominator of long-time Apple employee, Tony Fadell, the Nest Thermostat exemplifies Apple’s mantra of making technology accessible. The Nest isn’t just a pretty face. Behind the shiny exterior are enough disruptive bits to make thermostat giant, Honeywell, attempt to sue the company out of existence. Starting today, the Nest is now available in Apple’s retail stores and the website. 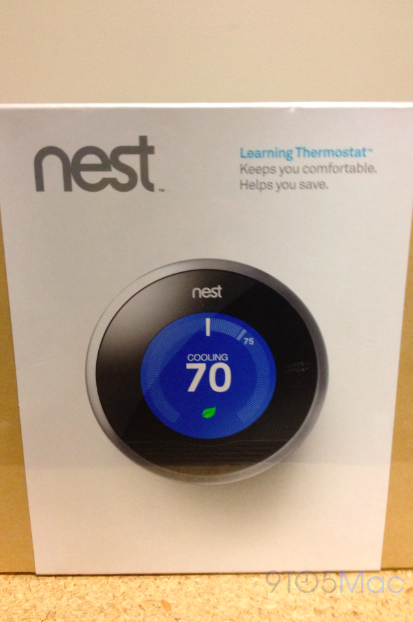 The Apple Store sells the Nest at its full, $249 MSRP — Lowes sells it for the same price. But as the company promises, homeowners should recoup that high price with monthly savings on their utility bill thanks to the Nest’s learning and motion sensing features. Owners can also control the settings from iOS and Android devices, arguably allowing for even more savings. As The Verge points out, this comes just one day after the Nest headed to the Great White North. Just yesterday, Nest Labs announced Canadian availability of its learning thermostat because, you know, even Canadians deserve lower utility bills by way of a beautiful device.